First-Ever BMW X7 Sports Activity Vehicle, BMW 8 Series Convertible, BMW M340i Sedan and BMW Vision iNEXT Concept to Debut at LA Auto Show’s AutoMobility LA 2018. After showcasing the BMW X7 and BMW 8 Series concepts at last year’s Los Angeles Auto Show, BMW returns to the 2018 show with both production ready vehicles. Today, during its auto show premiere at the Los Angeles International Auto Show, BMW announced pricing for the all-new 2018 BMW M5. Today, the allure of sustainable driving is poised to enter another new dimension as BMW introduced the first-ever BMW i8 Roadster matching BMW eDrive technology with the Ultimate Driving Machine. BMW Group Electrifies the Los Angeles Auto Show with a to-be-Announced World Debut and the North American Premieres of the BMW i Vision Dynamics, MINI Electric Concept, and BMW i3s. Reinforcing its commitment to offer 25 electrified models –12 of which will be purely electric – by 2025, BMW Group will showcase five electric vehicles at the 2017 Los Angeles Auto Show including the North American premieres of the BMW i Vision Dynamics, MINI Electric Concept, BMW i3s, and a World Premiere vehicle that will be shown during the BMW Group press conference on Wednesday, November 29 at 8:50 a.m. PST at the BMW Stand in the Los Angeles Convention Center. BMW Initiates Next Phase of its BMW ChargeForward Program with Pacific Gas and Electric Company to Study Advanced Electric Vehicle Charging. 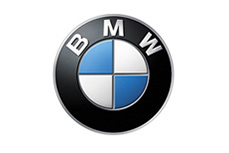 In an effort to further understand and expand the possibilities of smart charging for electric vehicles (EVs) and plug-in hybrid electric vehicles (PHEVs), BMW of North America today announced the second phase of its BMW ChargeForward program. With the Green Car of the Year Award 2015, the BMW i3 has added a further trophy to an impressive raft of honours in its first year on the market. Words like “breathtaking” and “irresistible” punctuate the history of BMW Convertibles. Now, BMW has opened a new chapter in the tradition of open-top cars. BMW Group at the LA Auto Show.